For Rent: Town House in Los Alcazares, Costa Calida, Spain - Price upon application. 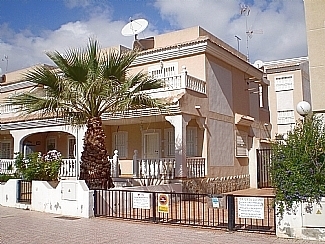 Our privately owned semi-detached town house is by the beautiful Mar Menor in a garden complex in the midst of open countryside and only five minutes walk from the sea. Please take your time and browse these web pages and contact me for further information. I will be happy to answer any queries you may have. We look forward to meeting you in Spain. Current weather in Alicante, Spain.